1800 tequilas have been named after the year of distillation of first tequila. In 1800 first real tequila has been produced. Each 1800 tequila bottle has trapezoidal shape which is similar to the ancient Mayan Stone pyramids found throughout Mexico. At Liquormart you can buy tequila online and here are some of the best tequila to try this year. Tequilas of 1800 series are made from Weber Blue Agave grown in area of Jalisco for 8-12 years. 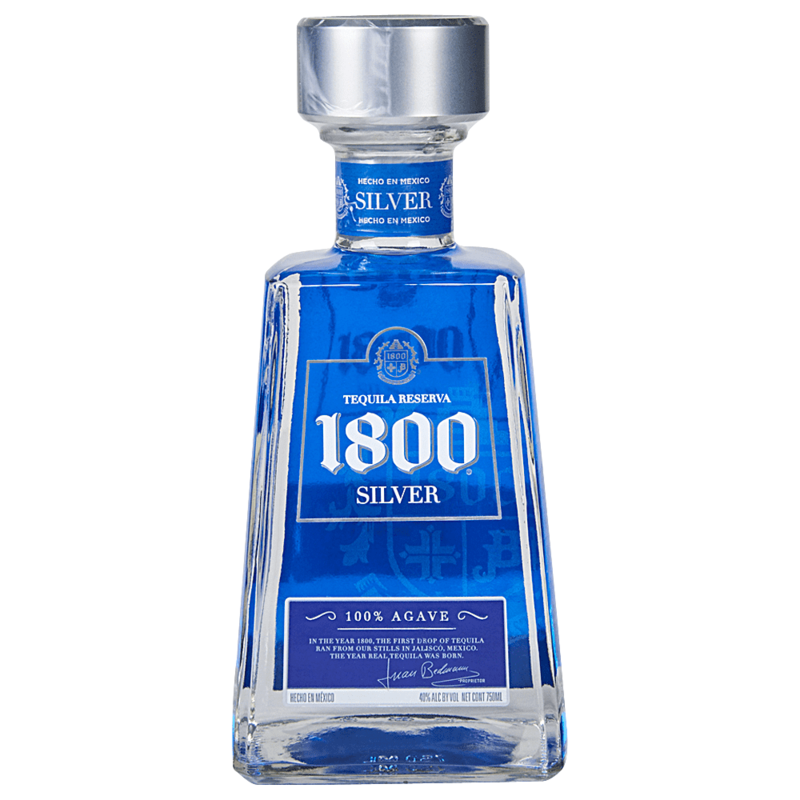 1800 Silver is double distilled liquid and unique white tequilas blended together for complexity and characteristics. As a result of distillation tequila comes with clean, balanced taste with hints of sweet fruit and pepper. World-renowned artist Jean Michel Basquiat, Gary Baseman and Keith haring reflected their unique work by designing 1800 silver Tequila bottles and these limited edition bottles are collector's Item. These are limited design edition bottles. Each and every time it comes with a different design but in limited quantity. 1800 silver with natural coconut flavour provide distinctive slightly-sweet and medium -bodied tropical taste. Pineapple juice is the best mixture for this 1800 coconut but could be served on the rocks. Tasted oak flavour, vanilla and butterscotch with a spicy, well-rounded finish- Result of ageing for at least 14 months in French oak barrels. Best for sipping. 8-12-year-old in age Weber blue agave is used for the production of Reposado tequila. Matured tequila in American and French Oak barrels for at least six monthFlavourvor of buttery caramel, mild spices and a touch smokiness from the barrel finishing.